The Mausoleum of Genghis Khan, is a temple dedicated to Genghis Khan, where he is worshipped as ancestor, dynastic founder, and deity. 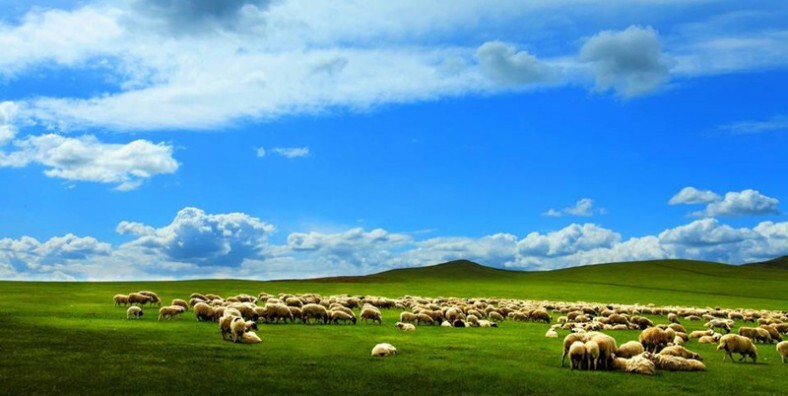 During this tour, apart from the Mausoleum of Genghis Khan, you can also appreciate the grassland scenery of Erdos Grassland and learn more about Erdos city at Erdos museum. Visit the Mausoleum of Genghis Khan – the largest theme park about the Gen Gi Khan culture and Mongolia culture. Enjoy the Erdos Grassland and know about Erdos people. Learn more about Erdos city at Erdos museum. Upon Erdos arrival, the local tour guide will meet you at the airport in Mongolian dress. Transfer to hotel and check in. After breakfast at hotel, leave for 5A scenic spot – Mausoleum of Genghis Khan, the world biggest theme park about Mongolian culture and Genghis kan’s culture. You would see horses culpturse, mongoilan culture museum ect. Leave for Yemingsha desert after lunch, experience the exciting sand surfing car to the desert(about 10 km). Or you can ride camel(option). Watch the sunrise on your own, and leave for Erdos Grassland after breakfast. Not only the beautiful grassland you can see, but also friendly Erdos people you will know. There will be a small welcome ceremony when you arrive – drinking ceremony. Free time or optional amusement activities(grass sliding, archery, horse riding, Mongolian performance, ect). Then enjoy dinner and bonfire party. Watch the sunrise on your own. After breakfast, go to Erdos museum and learn more about this city, then escorted to take you to airport or railway station for your departure.